Lets Learn to Hack Android. | Page 2 of 2 | Having fun Learning Android. Hey, It’s Mariah from TechJunky, here to show you how to Google account bypass your Galaxy S8. We will be using our paid method through UnlockJunky for this tutorial. If you are interested in learning an alternative (free) unlock method, then please join the TechJunky family so that you can be notified when we offer more FRP unlock solutions. 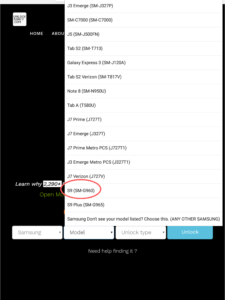 Our bypassing method with UnlockJunky works for ALL Samsung models ???? 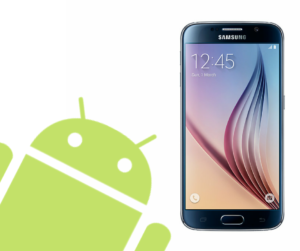 The Samsung Galaxy S8 has Android OS 7.0 Nougat, meaning that the phone has the factory reset protection (FRP) lock security feature. The lock prevents anybody from illegally accessing the contents within an android device, even if they attempt to forcefully reset the phone. Unfortunately, the lock can also make it close to impossible for the proper owner to access their phone. In any case where the phone’s owner does not know the required information, they will be locked to the “Google account verification” screen. If you are in a situation where you are FRP locked out of your Galaxy S8, then you must choose to perform one of the three unlocking options. 1. Unlock the device yourself ???? 3. Go to a cellphone repair shop that offers unlocks ???? NOTE: #2 AND #3 ARE FRP removal services, if you want to learn more about your unlocking options click here. ??? ?Click the Links Below to Go Directly Where you Want ???? Why will we be using UnlockJunky’s solution? We will be using our parent company UnlockJunky ‘s paied unlocking solution for the Samsung Galaxy S8. -Why will we be using UnlockJunky’s solution? 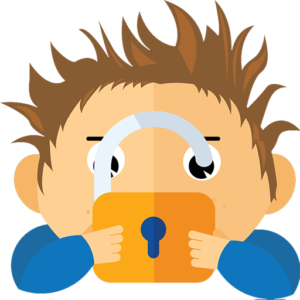 The team at UnlockJunky (including myself) strive to offer the most reliable unlocking solutions at an affordable price. UnlockJunky is a remote FRP removal service. If you want to learn more click here. Step 1 Using your internet browser(Google Chrome, Firefox, Bing, etc. ), go to the UnlockJunky website so that you can Google account bypass your locked galaxy s8. Step 2 Now that you are on the UnlockJunky website, select “Select brand”. A bar will pop-out revealing the cellphone brands that we unlock. Choose “Samsung” as the brand of your device. Step 3 “Samsung” should be selected as the brand of your device. Youshould select the appropriate “model”. You can find “Galaxy S8 (SM-G950U)” close to the bottom of the list. Step 5 Now our system knows that you need your Samsung Galaxy S8 (Sm-G950U) needs to be Google unlocked. Click the blue “Unlock” ???? button. Step 6 once the unlock button is clicked you will be sent to our payment screen. Now your order is complete. You should recieve a confirmation email with our Remote Client Program attached. Congratulations???? you ordered your google account bypass galaxy s8! Follow the instructions given in this short video ???? Once the ordering process is complete you will recieve a confirmation email with our remote client program (USB redirector) attached. Download and install the USB redirector to your Windows PC and follow the instructions provided. If you do not download the program our technician will not be able o unlock your device. He needs to be able see what he is doing while bypassing the FRP lock on your Galaxy S8. Please, don’t panic if you do not recieve the confirmation email after ordering your unlock. If you ordered during business hours just start a live chat with our technician. Make sure that you tell him that you did not recieve the confirmation email. You will have to provide him with your order number and the email address that you used to order the Google account bypass. After confirming your order our technician will provide you with the information in the email and the remote client program. If you ordered before/after business hours send our technical support a email letting them know that you did not recieve the confirmation email. The member of our team who answers will ask you to supply your email that you used to order the unlock and the confirmation number that you recieved when the order was completed. Once they confirm your email (should only take a few minutes) they will supply you with the information needed to complete the FRP bypass and the USB redirector program. We love when we are contacted at UnlockJunky/TechJunky because it helps us provide you with the best service! Please, if you have any questions or concerns don’t hesitate to contact us. We will answer your questions about your google account bypass galaxy S8 as soon as we possibly can. It should take only 20 minutes or less to complete this whole process if the directions are followed. 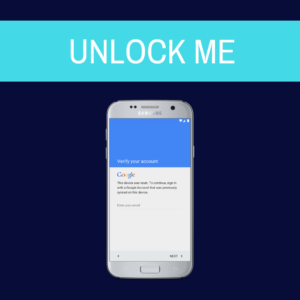 You’ve completed a Google account bypass for your Galaxy S8 with our team at UnlockJunky. Once we have alternative (free) unlocking methods we will let our “TechJunkies” know. Be sure to join the TechJunky family and subscribe for more articles about mobile unlocks, awesome new tech, and rockin start-ups. It’s Mariah from TechJunky here with a tutorial on how to Google account bypass galaxy s9 ( 2018 ) with our paid method through our parent company UnlockJunky. The Galaxy S9 (and S9 Plus) are the most recent flagship Samsung models. 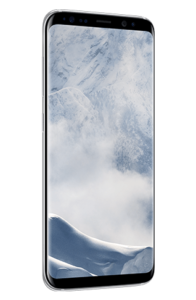 The S9 was released on March 16th, 2018. Due to the fact the device is new, it’s incredibly difficult to find alternative (free) unlocking methods. I would like to start this article by saying that this is not a free unlocking method for the Galaxy S9, we are currently searching for reliable FRP bypass solutions that we can use with the Samsung Galaxy S9. If you would like to stay up-to-date with the latest and most reliable unlocking methods be sure to subscribe. At this moment (July 2018) we only offer a Premium Google account bypassing service for the Galaxy S9, but we plan to offer a free unlocking method very soon. We are offering Google account bypass galaxy s9 (2018) paied method with UnlockJunky. Providing everybody with reliable and affordable unlocking solutions is our top priority. ???? 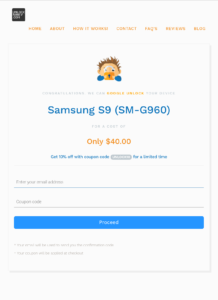 What Benifits Can UnlockJunky Offer You? Awesome ???? 24/7 technical support. Have any questions? Check out our FAQ page or contact us ???? I promise we dont bite. Step 1: Using your internet browser, go to the UnlockJunky website so that you can Google account bypass your locked galaxy s9. 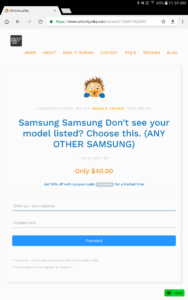 Step 2: Once you are on the UnlockJunky website go to the “Select brand“, then select “Samsung“. Step 3: Now, that you’ve selected “Samsung” as the brand of your phone, you must select the “Model“. After selecting the “Model” button, scroll all the way to the bottom of the list and choose “S9 (SM G960)“. Step 4: You now have the brand “Samsung” and the model “S9 SM G960”. You must select the “Unlock type“. There is only one unlock type for the Galaxy S9 “Google unlock“. Step 5: Once you complete all of the steps on the homescreen, click on the blue “Unlock” button. Before you are able to Google account bypass your galaxy s9, you must fill out the payment information provided through Paypal after clicking the “Unlock” button. Start a live chat with our highly trained technician if you ordered during business hours. You have the option to either leave a message for the technician in the chat box or contact our support staff if you completed your google account bypass order before/after we are closed. What do you do if you do not recieve either the confirmation email or the program is not attached? If this occurs during business hours, then start a live chat with our technician and let him know whats going on. He will ask you for your order information to insure that you have already paied for your unlock. Once he knows that you have completed your order he will personally send you the redirector program. In the case that your order was completed before/after business hours, then contact our technical support staff. The best way to get ahold of us is through our email: unlockjunky@gmail.com, but you are also able to contact us through social media. We love ❤ when we are contacted at UnlockJunky/TechJunky because it helps us provide you with the best service! Please, if you have any questions or concerns don’t hesitate to contact us. We will answer your questions about your google account bypass on your galaxy S9 as soon as we possibly can. Once the USB rediretor program is installed, complete the USB redirector process before starting the live chat with our technician. The short video above ⬆ will give you the instructions needed to complete you google account bypass. Now, that you’ve started the live chat with our technician you can sit back and relax, he will complete the unlock. You’ve completed a Google account bypass for your Galaxy S9 with the team at UnlockJunky. Currently (July 2018) we only offer a paied unlock method for the Galaxy S9 due to the fact that the device is incredibly new. Once we are able to offer alternative FRP bypass methods for Samsung’s most recent flagship device we will let our “TechJunkies” know. Be sure to join the TechJunky family and subscribe for more articles about mobile unlocks, awesome new tech, and rockin start-ups. Many people don’t realize they have the factory reset protection (FRP)security feature on their Android device (lollipop 5.0 ???? and higher) until it’s too late. The FRP lock was created to keep unwanted intruders out of your phone. By restraining access to the device until the Google account verification prompt has been acted upon. As a result, for a person to get onto the phone they must either sign into the Google account that waspreviously used or perform a Google account bypass (FRP unlock) on the device. Unfortunately, if you FRP unlock your device, all of the information will be erased. So, take the time necessary to try and remember or find out the previous google account information because it would be a bummer if you bypassed the device when it wasn’t absolutely crucial. Google verification screen on a FRP locked Samsung Galaxy S7. 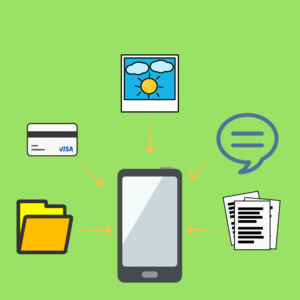 Information stored on your mobile device. 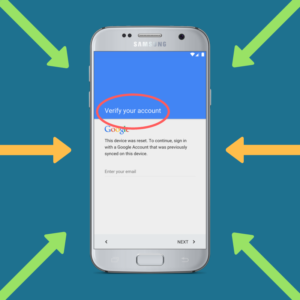 What is a Google Account Bypass? When somebody is selling a phone they usually are inclined to factory reset the device before the purchase.If the device is not reset, then the new owner has the opportunity to log into all of your apps including social media accounts (yes, that means Instagram ????). Also, the new owner will have access to any confidential information including images, documents, credit/debit card information, etc. In the case that the original owner factory resets the device without signing out of all accounts, then the phone is inaccessible. This is because the phone is locked to the Google verification screen. If you do not know the necessary information needed to unlock the device, it might be helpful to perform a Google account bypass. There are a few methods available that anybody can use including: bypass the verification screen yourself or use a FRP removal service. Google account bypass is surprisingly an uncomplicated process. First, you must choose (in the list below) what brand (make) your locked phone is. After you determine the make of your device, then follow the instructions provided. 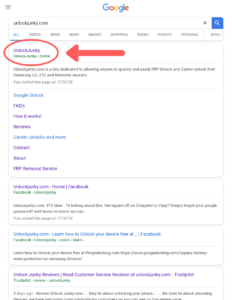 You are also able to check us out at UnlockJunky.com to get your Samsung, ZTE, LG, Motorola, or HTC device FRP unlocked in 20 minutes or less. Once the unlock is complete be sure to comment on this post and share it with your friends and family! Duplicate the special Android APK to your Pendrive. Turn on your Samsung device ??? ?then connect your pen drive through the OTG cable. The file manager will show up on the phone. Find and install the special android APK. Now that you’ve installed the APK you will automatically be sent to the Samsung settings menu. Reset the phone through the settings menu. If you don’t know how to reset your Galaxy through the settings menu, then you can click here to learn ????. After you reset the device setup the phone as if it were new. Congratulations ???? you’ve successfully completed a Google account bypass! The increased security in cellphones is generated by the increase in mobile theft worldwide. Samsung devices are amongst the most likely items to be stolen, due to the high resale value. Factory reset protection (FRP) is one of the many features that ensure the ability to protect owner information and regulate used phone sales. Luckily, as shown above, you are able to perform a Google account bypass on your Samsung device. But, please remember once the FRP unlock is complete all of the information will be erased off of the phone. The multinational telecommunications company ZTE may not be very well known in the Western markets. But, they provide exceptional devices for individuals who want a prime phone at a reasonable price. Starting in their Android version 7.1.1 update on June 2016 with the Axon 7 release. All ZTE devices that received the version update gained accessibility to the factory reset protection security feature. Any devices 6.0.1 (Marshmallow) and older do not have the accessibility to the FRP function. The ZTE Corporation has been in the spotlight for the last few months as a result of multiple illegal shipments of U.S goods to Iran and North Korea. There has been an increasing amount of propaganda about the demise of ZTE as a cellphone manufacturer. Now that the ban has been lifted, ZTE may have the opportunity to rescue their mobile department with the release of the Axon 9. If you are interested in learning more about the upcoming Axon 9 please let us know in the comments! Warning: this method does not work if our device does not have “Swift Keyboard” previously installed. Once you see the Google account verification screen that is linked to the previous account that was used on the device, try to long press the @ symbol on your keyboard until a window pops up. Find and click the “Google Keyboard Settings” on the pop-up window. Tap the three dot un the upper right-hand corner, then select the “Help & Feedback” option. Pick a random word and long press so you can copy a bit of the text. A web search icon will appear on the upper right-hand corner. Be sure to click on the icon and the search field that appears, then type “Settings”. Go to the Settings app on your ZTE device and go to “Developer Options“, sometimes this option is not on the list so you can click the “Build Number” item 7 times. By doing so you will pull out the “Developer Options” which allows “OEM Unlocking“. Next, you must long press the “Power” button and reboot the device. While you are setting up your phone you will see the “Add Google Account” page rather than the “Google Account Verification” page (FRP locked page). 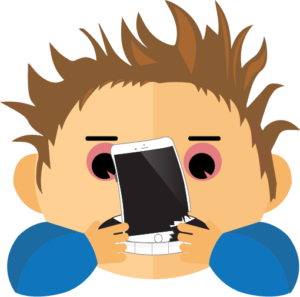 If you are looking to unlock your device in a short amount of time without any complications, you should check us out at UnlockJunky.com. Offering unlocks for ALL Samsung, LG, and Motorola devices plus MOST HTC and ZTE phones as well! We offer reliable and affordable bypasses that are available to anybody with a locked device and access to a Windows PC. During our business hours, our quick and easy process should take no more than 20 minutes to unlock your device. Our highly trained technician is incredibly excited to unlock your device today! Our team at UnlockJunky wishes you the best of luck while unlocking your device! 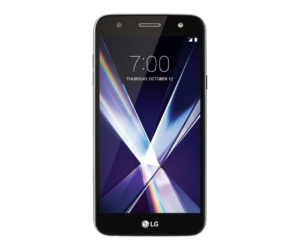 LG is a electronics, chemicals, and telecommunications company that was established in South Korea after the Korean war (1958). Their main focus was to provide and engineer consumer electronics and appliances. From 2000-2009 LG was ranked as one of the top 3 mobile manufacturers. Due to their sleek and durable structure. LG offers one of the top five phones on the market in 2018, and two on the top ten. The LG G7 ThinQ and the LG V30. As a result of their highly classified mobile devices and the large quantity of LG phones circulating the market, there are a few reasonable Google account bypass (FRP unlock) methods available. Using an OTG cable connect the USB flash drive to your FRP locked device. The File Manager app should appear allowing you to download the special LG APK to your device. Now, you should have access to your settings despite the Google account lock. Find the “Backup and Reset” option in your settings. Tap “Factory Data Reset” and erase everything or reset device which should delete all personal information off of the device, including Google account information, photos and videos, documents, files, and apps. Finally, your device should reset normally. 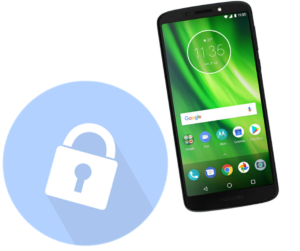 In this complete guide to Google account bypassing your Motorola device, you will learn a few uncomplicated methods to FRP unlock your phone. Usually when people are selling or trading phones they factory reset the phone before the sale. If the person who rebooted the device did not sign out of the Google account, then the FRP security feature will activate. The new owner will receive a locked device that is useless until the Gmail account information is provided or the new owner removes the FRP lock. 2. Select your native language (whatever language you are most comfortable with) then click “Next” in the bottom right-hand corner. 3. Connect to WiFi, then tap “Next” in the bottom right corner. 4. You will go to the page “About Your Privacy” once you are there tap “Accept and Continue“. 6. Once you are here at the locked screen, go back to the “Select WiFi Network” page, then scroll down and select “Add another network“. 7. You should be on the “Add Network” input box write “1234” and hold it until you have access to the “Cut, Copy, and Share” options. Tap “SHARE“. 8. Tap Share you’ll see different applications like Copy to clipboard, Hangouts, Messenger, Bluetooth, Gmail, Drive, etc. 9. Long press on “Gmail” then once you are on the app, find “App Settings”. When you are in “App Settings” tap “Manage Accounts” then “Continue“. 10. Now, you have access to the “Settings” of your Motorola device. Next,scroll down and go to “Google” then “Search & Now“. 11. Click “Now Cards” and within the folder tap “Show Cards“. 13. In the Chrome browser click “Accept and Continue“, then in the next page choose the “No Thanks” button in the bottom left corner. 14. Using the Chrome browser search “UnlockJunky FRP Removal Blog” on the search bar. 15. Once you get to the search results choose the “blog.unlockjunky.com” link. 16. When the page is open scroll down to the bottom of the article and choose the button “Motorola-APK Bypass Download“. 19. 1. SetupManaged profile. 2. Set up device owner. Select the 2nd one and tap SET UP. 20. After you set up your device, on the screen will appear the message to continue setting up the device. Be sure to Encrypt it. 21. Tap “Encrypt” and connect your phone to the charger, then tap Encrypt phone. Encrypt phone again and wait until your phone restarts. 22. Congratulations! your phone is unlocked… well it should be, if you had any problems along the way please don’t hesitate to let us know. 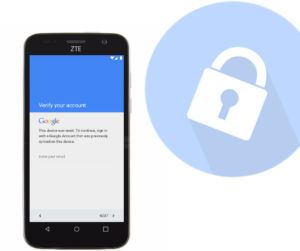 In this article, you’ve learned a few practical methods that can be used to Google account bypass your Samsung, ZTE, LG, or Motorola device. 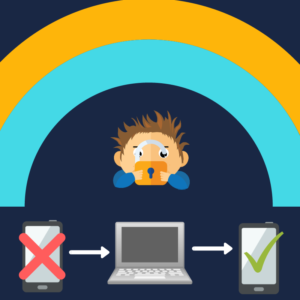 Unlocking your device can be a dull process that may take longer than expected, but if it’s done properly it is definitely worth the frustration. I’ve found it greatly helpful to remain calm and patient while bypassing a FRPlock. Hopefully, these methods given will help you unlock your device. If you had any troubles unlocking your device using our bypassing methods, please let us know so we can provide better information in the future. Do you want to Win a Free Samsung Galaxy S9+? Intelligent Scan and Iris Scan For ultimate security you can use the intelligent scan or the iris scan to unlock your phone screen when you win a Samsung Galaxy S9+. With the intelligent scan, you can unlock your phone with your iris and facial recognition. You can also opt to use facial recognition or iris scan by themselves to unlock your phone. 64 gb Enough memory for all of your files, photos, apps, etc. Super slow motion videos I highly recommend watching this video and share your entrancing ???? super slow motion videos with us when you win a Samsung Galaxy S9+! Dual-lens camera Allows you to take incredible photography with your new phone in both high and low light with the aperture modes. Inspire the world with your artsy dark light photos with the F1.5 aperture mode. Shock everybody you know ( and hopefully us ☺) with your vibrant high light photography using the F2.4 aperture mode. New colors ???? 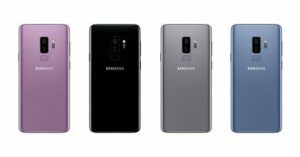 When you win your Samsung Galaxy S9+ you will be able to choose from these four beautiful colors for the ultimate customized new phone. Which color will you choose? AR emoji Turn your pictures of you and your friends and family into emojis. How do you win a Samsung Galaxy S9+? I bet you’re wondering “how am I going to win a Samsung galaxy S9+?” it’s not too difficult, all you have to do to be randomly selected to be one of the two lucky individuals to win a Samsung Galaxy S9+ is click here to subscribe to our blog. It’s seriously that easy, we also highly recommend liking and following our Facebook page ????. Its not going to help you win a Samsung Galaxy S9+… But it was worth a try right. Be sure to share this post so your friends and family have a chance to win as well! Why are we giving away 2 free Samsung Galaxy S9+? We love our customers! UnlockJunky and our blog TechJunky would be absolutely nothing without you guys, and we thought it was time to give back to our amazing customers, ???? and what better way to show our appreciation then to give them the best phone on the market! We are also trying to expand our following and make connections with our community. If you need more of a reason to subscribe to our blog check out a few of our posts and see what you think. Also, don’t hesitate to check out UnlockJunky.com and if you are still not sure what to think about us check out our wonderful reviews that can be found on our website, trust pilot, and Facebook have to say. When does our competition end? Our competition for two incredibly lucky individuals ends on July 7, 2018 (07/07/2018) in exactly 10 days from our announcement of the drawing for two people to win a Samsung Galaxy S9+. Don’t hesitate to subscribe as soon as possible so you can be signed up for our drawing. Like and follow our Facebook so you can be updated on how the drawing is going! Also don’t hesitate to share this post so your friends and family have a chance to win as well. Following these simple guidelines will make possible to win a Samsung galaxy S9+. Use your actual email If you win but happened to use a fake email we will skip to the next set of winners. Do NOT spam if we find out about you using more than one account to sign up and subscribe you will automatically be disqualified. Be sure to share this post with friends and family over social media so they have a chance to win as well! Thank you for being a wonderful customer for UnlockJunky, a new Subscriber, or a new fan of both UnlockJunky and TechJunky. We hope that you win a Samsung Galaxy S9+! If you’re like me, you probably like your devices secure. Especially after spending hundreds of dollars on each piece of tech you’ve collected. You start with a simple lock screen, whether its an eye recognition, number code, or a pattern. Which can keep your device somewhat secur. But did you know there are alternative security features built-in that will ensure your Samsung Galaxy S9 security? Phone security is incredibly important in this day and age. Each new device is getting more expensive every year and our information is constantly out on the internet via affiliate marketing, social media, service providers, etc. People also deal with identity theft and credit/debit fraud that all is caused by our handy devices we have. Luckily, Samsung recognize what can occur to their customers due to the increasing amount of people who have their products. So they are implementing special security procedures with each new device including the Samsung Galaxy S9 security. 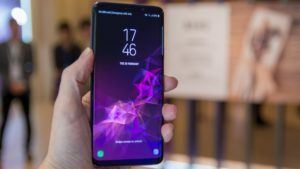 We all know that a solid locked screen will help wein annoying little cousins away from playing games on your phone, but what types of screen locks are available on a Samsung Galaxy S9 security and see how effect they are? 1. Swipe: swiping the screen will unlock the phone. Little to no effectiveness. 2. Pattern: create a pattern to use for unlocking. Low to medium security on the device. 3. PIN: select a pin to unlock. Low to medium security. 4. Password: create password to unlock that will unlock the device. Moderate effectiveness in security. 5. Facial Recognition: use of facial recognition unlocks the phone. Medium to high quality effectiveness. 6. Fingerprint: use a fingerprint to unlock. Mid to top quality security. 7. Iris: use of iris scan unlock the phone. High effectiveness. 8. 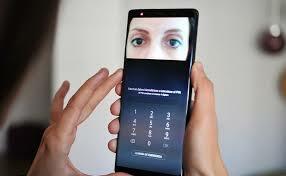 Intelligent Scan: the use of both facial recognition and iris recognition to unlock the phone. Highest security on the market (at the moment). Data encryption allows the user of a device to create a secret key or password that allows only those who know the password to see specific data. You are able to encrypt your SD card to help with Samsung Galaxy S9 security . Meaning the data that is on the SD card can only be read on the device the data was encrypted on. You would be able to encrypt files and data onto the encrypted SD card. Which could be extremely beneficial if your device was stolen and the thief tries to get into your information, or if someone tries to steal your information through the phone. Due to Samsung Galaxy S9 security. Then they disclosed the listed information to their affiliates, business partners, service providers, law enforcement (when required), other parties during corporate transactions, and other parties with your consent. That seems like a lot of places for your personal information to go, but with data protection with your Samsung Galaxy S9 security procedures you are able to know where your information goes and if you want it to be accessible to those parties. Samsung gives the Galaxy S9 security allows you accessibility to automatically trigger factory reset protection (FRP) after 15 failed attempts at unlocking the device. Which means that the phone prevents use of the device after factory data reset, until you log in using the Google username and password that was previously set up on the phone. Which could potentially be extremely beneficial if someone tries to steal your phone or your information, the only problem that may occur is if you do not know or remember the previous email that was set to the phone. If you end up using the automatic factory reset protection (FRP) on your Samsung Galaxy 9, I would highly recommend to write down your email and password and put it in a safe place that you will remember. In the off chance you cannot find the piece of paper with your Google information then there are ways you will be able to FRP unlock your phone. Here are a few links that you can use for DIY Samsung Galaxy S9 unlocks, but be warned, what you will currently find on unlocking your Galaxy S9 is not the most effective way, nor does it guarantee that your phone will be unlocked. If none of these methods work for you or you don’t want to go through the long frustrating process of unlocking your device alone, I would highly recommend UnlockJunky.com their services are quick, easy, and affordable. Phone theft has decreased due to the security precautions used in many newer devices, including the Samsung Galaxy S9. The more phone owners use their security features on their devices the lower amount of theft will occur. What is the FRP lock? The FRP ( Factory Reset Protection) lock does just what its name signifies, it prevents anyone from illegally using an android device even if they forcefully perform a factory reset on that device. The FRP lock was designed to ensure that a stolen or misplaced phone cannot be wiped or factory reset. The device remains locked even when a new firmware is installed or it is boot into recovery. FRP lock is largely hidden and will only kick in when a factory reset is performed on your device without your authorization. When this happens, the device boots with a prompt for the Google account login that was last used on the device. This is an effective way to keep intruders out of your device, unfortunately, the FRP security feature also prevents the owner of the phone to enable factory reset if they do not know their Google account information. Many people end up needing to perform a FRP bypass on their device. Why is the FRP Lock Important? There have been numerous cases of stolen android phones being resold to unsuspecting buyers as all a thief needs to do is perform a factory reset on the device from the device settings or using the recovery mode and pop in a new SIM, and they have a new phone. Although there are several safety features like the find my phone location tracker or the remote data wipe these become useless when all the devices’ preferences have been wiped clean. This FRP locks the user out of the device if he/she forgot their google account information or are not authorized to use the device. How Do I Activate/Deactivate the FRP? FRP lock is automatically activated when you set up a Google account, which is a necessary step when setting up a new Android device. Once activated, it remains turned on until it is triggered by a reset command. In some cases, you may want to give away your android device or exchange it for a better one and you must deactivate the FRP lock before you can do this. To deactivate the FRP lock, you need to remove any and all Google Accounts from the device (including the security lock in some devices). Once this is done, you can then perform a factory reset through the device settings. 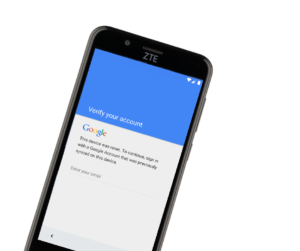 A ton of you guys have been asking us what the difference between google account bypass and Factory Reset Protection was, The long answer is that there is no difference, Google account lock is just another way to say FRP lock. How can you FRP unlock your phone? Fortunately, as previously stated you are able to perform a Google account bypass. 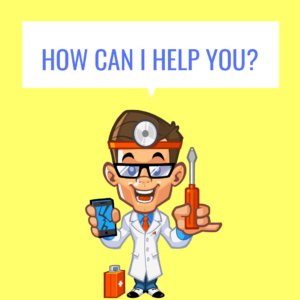 There are actually a few ways you are able FRP unlock your device: unlock yourself, use a remote FRP removal service, go to a phone repair shop that offers FRP unlocks (it may be helpful to call ahead). If you know of any other methods that are available please let us know ☺! Factory reset protection (FRP) is used when a person tries to factory reset a phone without knowing the Google account information. 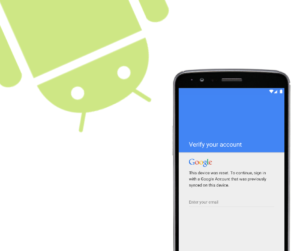 The device will lock to the Google account verification page. Currently, we only know 2 methods that can be used to get back onto the device. 1. 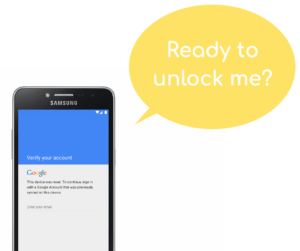 Find out what the original google account username and password is to unlock the device. 2. 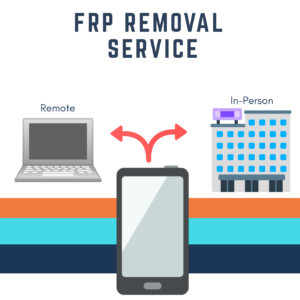 Hire a FRP removal service or unlock the device yourself. The device is locked until you either figure out the username and password or using another method to unlock your device. In the case where your device gets FRP locked try to stay positive and patient while you are trying to get your phone unlocked.